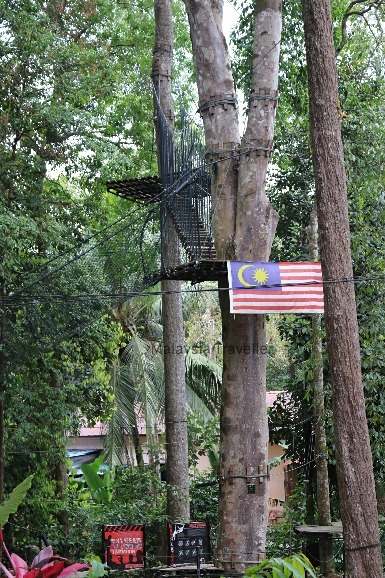 At Skytrex Melaka the adventurous can enjoy fun and challenging obstacle courses in rainforest surroundings with international safety standards. Guests get to climb ladders, fly on zip lines, ride a bike on a tight rope, swing from ropes, crawl through net tunnels and negotiate canopy walks, all while suspended high up in the trees secured at all times by wearing harnesses hooked up to safety wires. I have to admit I haven’t tried it myself yet. It’s not that I’m scared I just haven’t got around to it. But it looks a lot of fun and nearly all the reviews are very positive. This is an extreme activity so there is a degree of fitness, stamina and strength required but with determination and courage most people will be able to complete the course. The important thing is to select the right level according to your ability and Skytrex’s well trained and friendly instructors are there to guide and advise you. It's good to know that if you lose your nerve while going round the circuits there are places where you can exit called, rather unkindly, ‘chicken exit’ or ‘ayam exit’. Open Daily with First Departure at 9 am and Last Departure at 3 pm. Booking in advance is highly recommended to avoid disappointment since there are only a limited number of slots available to ensure safety at all times. 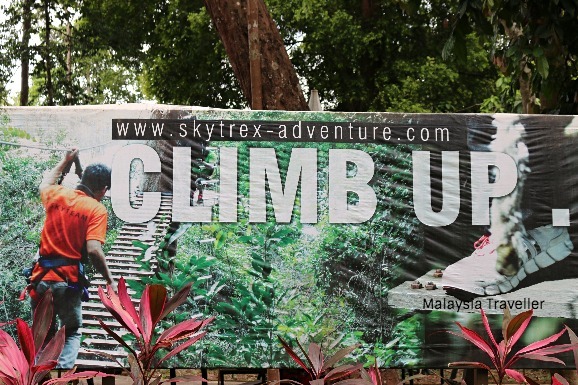 You can book online through Skytrex Adventure’s website. Free parking is available in the car park or on the roadside. 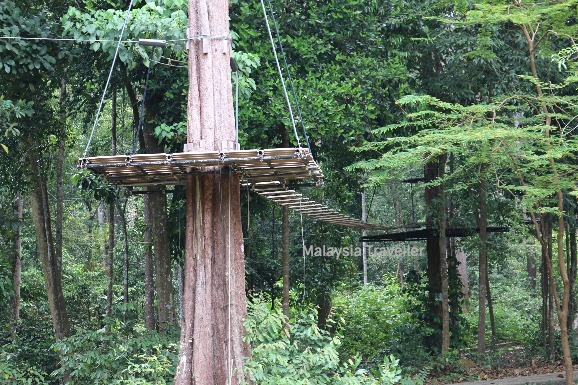 Skytrex Adventure has similar parks in three venues; Langkawi, Shah Alam and this one in Melaka.